Return to our original form of community. "A circle is not just a meeting with the chairs rearranged. A circle is a way of doing things differently than we have become accustomed to. The circle is a return to our original form of community as well as a leap forward to create a new form of community." We are in charge of how we meet together. Chairs and tables do not have to be bolted to the floor in long rows facing a speakers platform. ​If our current ways of interacting, speaking, listening and decision-making are not working, we can claim another form of interaction. The Circle Way is an alternative infrastructure for collaborative conversations that calls on long-held principles and practices of circle. In circle, we gain order from respectful structure rather than control. We initiate questions and suggestions, allow divergence and convergence, and watch for insights that emerge from collective synergy. We harvest our learning as a group and take shared responsibility for next directions to produce more sustainable actions. Practice an ancient form of meeting for modern times. The circle, or council, is an ancient form of meeting that has gathered human beings into respectful conversations for thousands of years. Circle is a shape where everyone can see and hear each other. Circle is an experience of sharing story, inviting diverse thinking, and encouraging creative problem solving. Circle is a group process that supports every voice into collaborative decision-making. Everyone who cares for the quality of conversations and the quality of relationships is warmly welcome to attend. 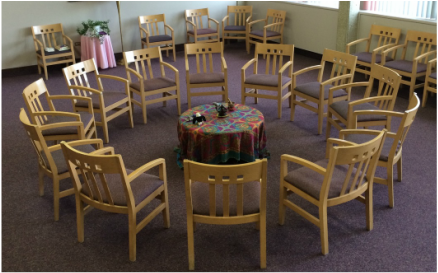 ​This circle practice supports leaders, managers, supervisors, project leaders, community groups, youth workers, educators, board members, consultants, women's circles, and those working in fields such as health care, government, health care, the social sector, education, organizations, healing and trauma work, parent groups, restorative justice, social innovation and corporate teams. Explore what is The Circle Way and how it works – the agreements, principles and practices that give it strength. Practice circle participation and hosting. Apply circle infrastructure to real and challenging situations in work or personal life. Discover how understanding The Circle Way can take your hosting of other participatory processes to a much deeper place. 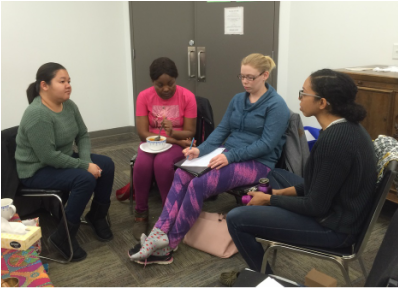 Learn to host intentional dialogue. ﻿This workshop is based on the teachings from the book The Circle Way – A Leader in Every Chair, by Christina Baldwin and Ann Linnea. Christina and Ann have been on a twenty-plus-year pioneering journey bringing circle back into modern application as The Circle Way. The Circle Way is a modern methodology that calls on the ancient tradition of circle and helps people gather in conversations that fulfil their potential for dialogue, replenishment, and wisdom-based change. Sharon Faulds is a practitioner & teacher of the Circle Way. She hosts transformative conversations and builds collaborative relationships in teams and organizations. Her main focus is applying Circle learnings/teachings to the challenges we face in healthcare. While studying for her MAL, I was introduced to Christina Baldwin in 2000 at Royal Roads University, where she spoke about PeerSpirit Circle as an ancient process as a way of being in the world and emerging as a new way. This ignited her passion to become a circle carrier practicing and teaching Circle as a means to creating a better world. ​​Thursday, November 24: Please plan﻿ to arrive by 6:30 pm. Our workshop will begin with an evening session which will end around 9:00pm. Friday, November 25: We will have a full day program (9:00am to 4:30pm), followed by an optional dinner together (price not included). Saturday, November 26: We will have a full day program that will end by 4:00pm. ​Please contact us at heather at heatherplett dot com. We're happy to explore if this is the right workshop for you. Change how people work, live, and govern themselves. ​"Our deepest belief has been that careful dialogue, with a question or intention in the centre, agreements for speaking and listening at the rim, and a light social structure for leadership can change how people work, live, and govern themselves."